In the wake of the second deadliest shooting in American history, Americans are partaking in a heated debate over the future of gun control. Many are calling for legislation that would address the gun control issue head-on while others believe that little could be done to appease the national violence. Several days before his second inauguration, Barack Obama released his plan to reduce gun violence. The plan outlines tighter gun license regulations, a ban of military-style assault weapons, making schools safer and increasing access to mental health services. The passing of Obama’s plan falls in the hands of the Congress. We are not aware of their stance on the president’s gun control measure so in the meantime, here’s my opinion on the pros and cons of Obama’s proposal. An assault weapons ban is important so the most destructive guns will no longer integrate itself in street culture. Semi-automatic firearms should not be in the hands of the public. Obama’s implementation of school emergency management plans is necessary for preparing schools for emergency situations. Every school should have a set plan of action in the event of an emergency. The accessibility to mental health services is needed. Many believe that the perpetrators behind gruesome shootings suffer from mental illness. I believe that some of the perpetrators are, and increasing mental health service accessibility may help to cut down on tragic and unnecessary violence. 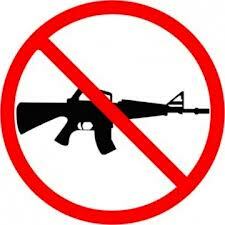 If the assault weapons ban is passed, the government needs to find a suitable way to impose this legislation. There are always people that believe their natural rights are being violated. In this case, some individuals will view the banning of certain guns as another threat to their liberty. Many Americans also believe that guns are required for defending themselves in dangerous moments. When Congress considers Obama’s measure, self-defense will be brought up as a reason supporting the need for guns.